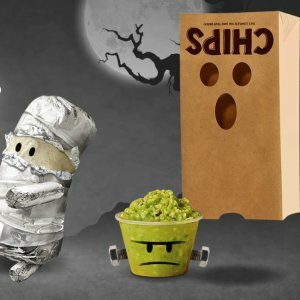 Chipotle offers the ENTREES ON HALLOWEEN for $4 via coupon code "BOORITO". 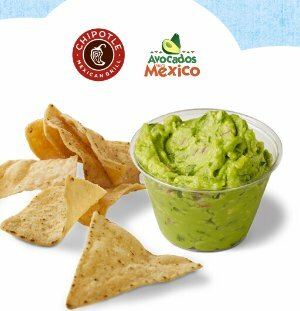 Chipotle offers free side of guacamole Purchase Any Entree via coupon code "AVOCADO". 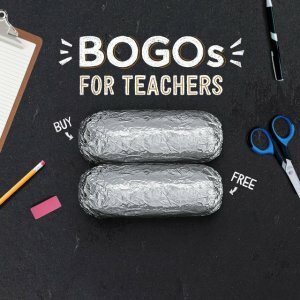 Chipotle offers Burrito, Bowl, Salad or Order of Tacos Sale for teachers, buy one get one FREE. Teachers must with valid faculty ID. Deal is valid from 3PM to close on Tuesday, May 8th, 2018 at participating Chipotle locations. 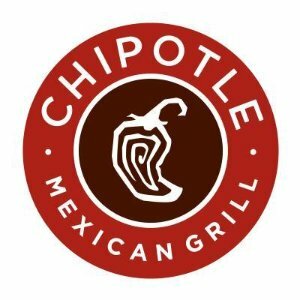 Chipotle offers Burrito, Bowl, Salad or Order of Tacos Sale, buy one get one FREE when you wear your favorite team's Hockey Jersey. 10:45AM - 10PM on March 2, 2018. 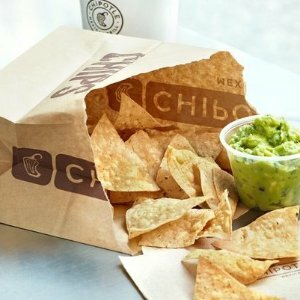 Chipotle offers free chips and guac! Buy a Entree. For a limited time, download the Chipotle app [iOS or Android] and earn chips and guac or queso for free with your first app order including a regularly priced entrée item! 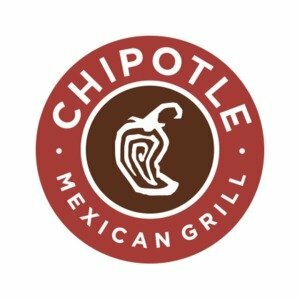 Chipotle offers Buy One Burrito, Burrito Bowl, Salad or Tacos Get One Free after 'Make Your Mix' and Select your favorite menu item and play through the Chipotle experience. Tips: Day 1 imposter: NATAMYCIN. 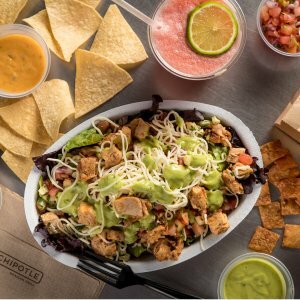 Chipotle has a Spot the Imposter game which guarantees you free Chips and Guac with the purchase of an entree, as well as being entered into sweepstakes for winning free burritos for year. Just play the game and find the imposter to win! Chipotle offers free Chipotle: Guacamole and Chips. Chipotle is offering Guacamole and Chips for FREE when you play the Cado Crusher Game. Exclusions apply. 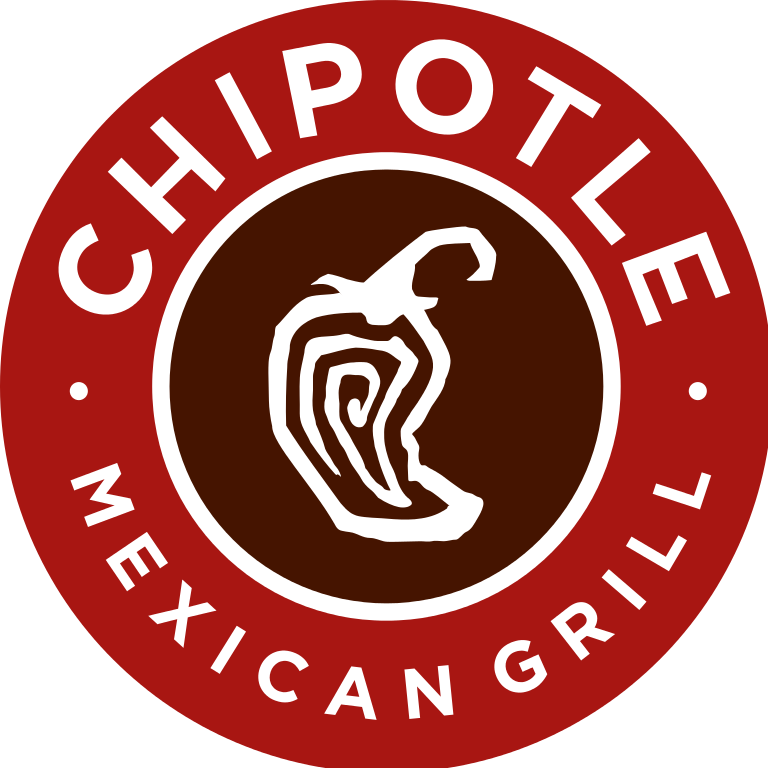 Chipotle offers Buy One Burrito, Burrito Bowl, Salad or Tacos Get One Free after play the "A Love Story Game" and provide a valid cell phone number to reveive the text coupon.